I don't know what it is but i don't seem to have enough time for anything right now. or maybe i've just been really bad at managing my spare time. i haven't had much time to blog lately but i've been keeping an eye on all of you out there in the blogosphere, so don't you worry. this is the little ensemble i am wearing today. i don't mean to mislead into thinking i am always wearing dresses and skirts (which i actually am most of the time). i do wear pants occasionally but i guess i often fail to document those outfits, or they sometimes seem unworthy to post. don't really know what to call the top i am wearing today. is this a tunic? let's call it a tunic. i've been a really good girl lately and stayed away from black pieces (in an effort to bring more color to my wardrobe) and so decided this was a fair compromise. i really love the dark green in the middle and the bright orange. i chose some earrings in similar colors. my earrings are always coordinated with my outfits, though it may not be always apparent. 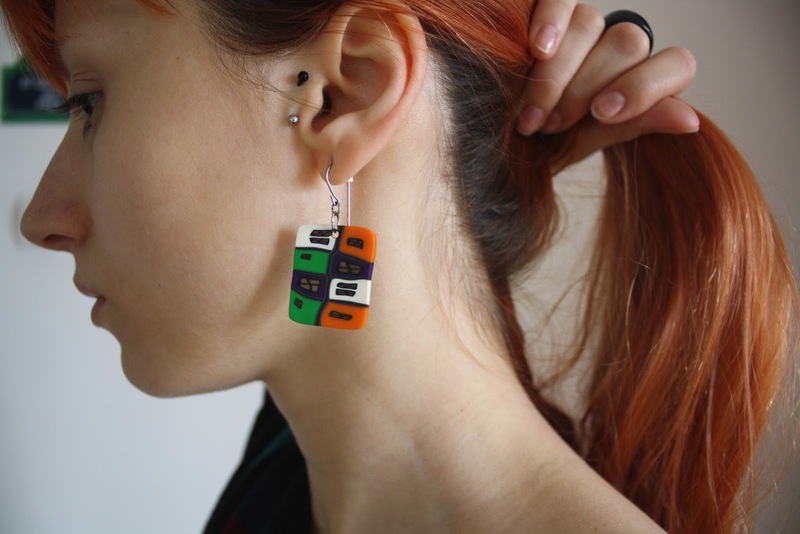 these ones were handmade by a local artist and they are inspired by the wonderful buildings designed by hundertwasser. speaking of color, my hair needs a touch up really bad cause my roots are showing and the color is washing out. but i don't have time for that either. 3 more days and i'm going on vacation. sweeeet!!! Pt. un moment am avut impresia ca te-ai tuns scurt! Imi place imprimeul de pe bluzita ta si cred ca iti sta foarte bine si cu pantaloni. 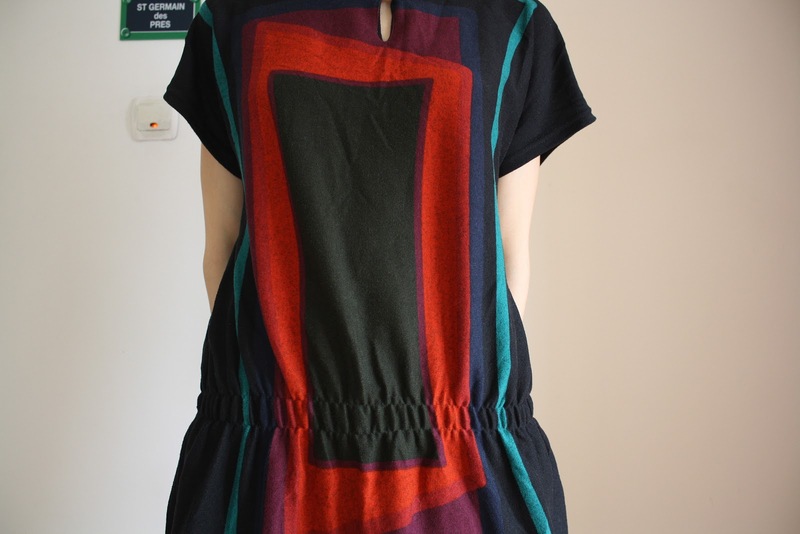 wooow U really love this ... tunic! And those earrings are so matchy matchy! Sweet! I've been having a hard time managing my daily life these days too -_- I love this look though, very well put together and you look amazing as always, roots and all!